BelleRon Technology provides development and consulting services. We specialize in complex web applications that provide the best possible answers to your organization’s needs. Our staff is among the leading web developers, designers, system analytics and project managers. BelleRon Technology was founded by Alex Sherman. Alex has over 12 years of experience in web application development and extensive experience in system analysis and project management. Alex is a PHP 5 Zend Certified Engineer and is considered to be one of the most prominent LAMP developers in Israel. 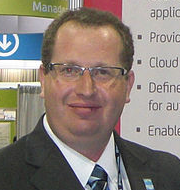 In the past Alex was the CTO of ReutNet, one of the leading Israeli web technology based companies, BMBY Software Systems (SaaS CRM/ERP Platform for Real Estate), R&D Manager of Shemere Medical Center and its subsidiaries, and provided expert consulting services to companies in various aspects of web related technology. All our developers are Zend Certified on PHP 5/5.3.